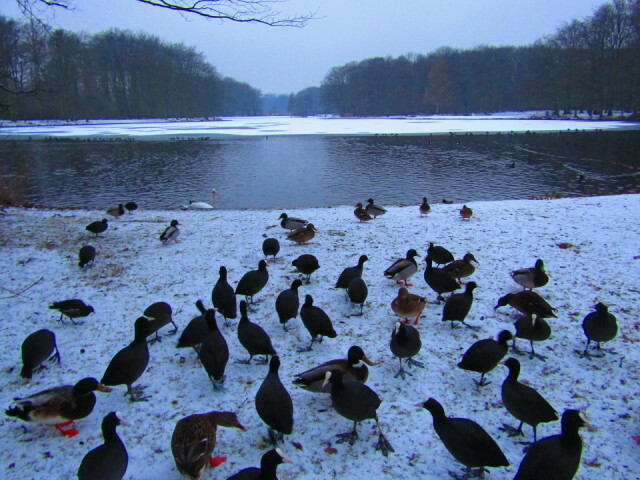 The forecast said we'd get snow here today, so I packed some slices of bread in my bag to feed the ducks on my way home. It attracted quite a few hungry ducks, moor-hens and swans. The other side of the pond is frozen over, so they only have this side to swim in.